Water pump, valve stem oil seals and head bolts. Designed for oversized valves and high lift camshafts. Forged from 4340 steel and utilize 3/8” ARP2000 bolts with alignment sleeves for a perfect fit. Packaged in weight-matched sets (+/- 1g). -Also included are ACL race big and main end bearings. Custom made off an Altezza piston to suit the Eagle ESP 3SGTE H-Beam rods. It will only let me upload one picture. buyers expense. Parts are located near Fermoy, Co. Cork, Ireland. For a rwd. non turbo S body or R body or drift spec e36 or mx5 for example. -I also have two engines (in parts) 1 good head,1 head that has marks on the combustion part around the valves on 2 cylinders could possibly be fixed I'm not sure, 2 good crankshafts, 1 good block, 1 block good for boring out to fit the forged Pistons, 1 fuel rail, standard injectors. 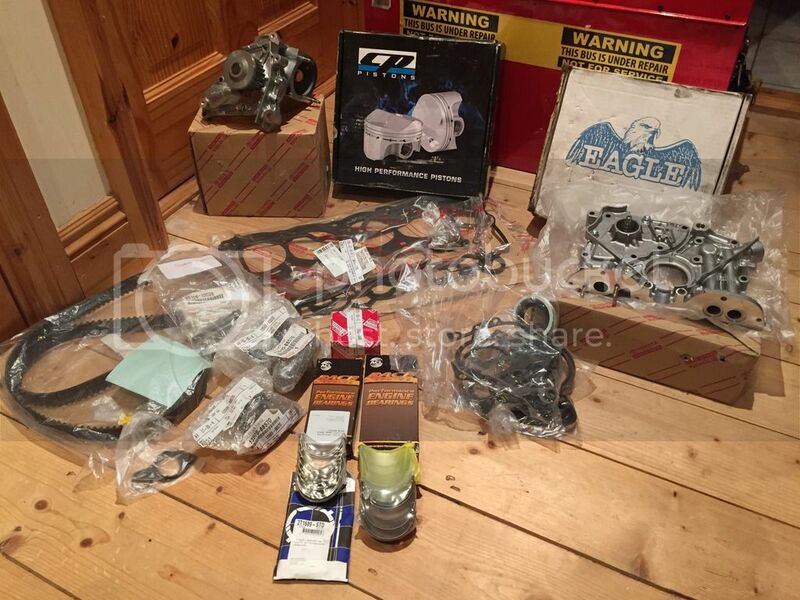 Open to offers on these parts.